Key Pharmaceuticals is one of the leading independent, Australian-owned and based consumer health companies with a strong track record of consistent growth. We market and distribute a wide range of products through pharmacy wholesale, grocery and export channels. Here are just some of the qualities that make us a strategic partner of choice for companies looking to develop their business locally. As a family-owned company, we have a very open culture. Our company is built on integrity and a solid values-based culture. Our leadership team is highly strategic and hands-on, and all have 20+ years’ industry experience, including working as senior executives for top consumer healthcare multinationals. We are a strategic business partner, not a sales broker, focussed on building brand value. We develop long term business partnerships, having distributed several brands for over 15 years. We execute all of our ideas with excellence. We have won several pharmacy wholesale customer sales awards due to our excellent customer relationships. We are respectful of our principals, their brand visions, and their ways of working and consider it our responsibility to take good care of their brands. We offer a full service with in-house Marketing, Sales, Quality, Regulatory and Warehousing. We hold a TGA GMP licence for release for supply, warehousing and secondary packaging. 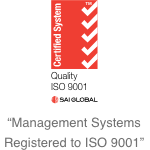 Our management systems are Quality ISO 9001:2015 certified.